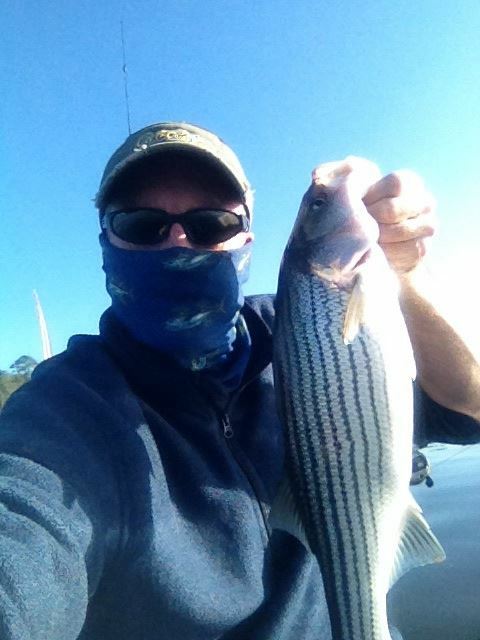 HomeWanna Catch Stripers, Catfish or Pig-Faced Bass In Winter? 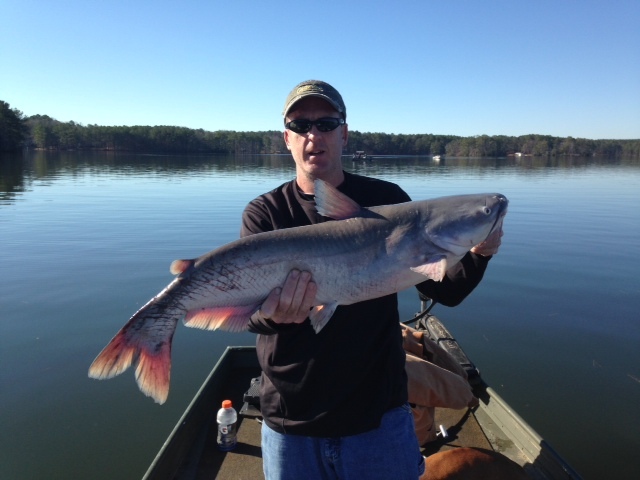 Wanna Catch Stripers, Catfish or Pig-Faced Bass In Winter? So you’ve been cooped up all winter and you’re dying to get out and catch some fish. You’ve probably had success in the past using small minnows for crappie and perch in the colder months of the year, but even that seems to fail on certain days. Additionally, while it can make for action packed outings, and even give you something to drop in that hot oil to fry, the fish you catch are often small and don’t put up much of a tussle. I used to love to go out all winter long in search of crappie, and was usually able to catch a limit rather easily. But eventually I came to a point when just catching pan fish wasn’t enough to motivate me to get out into freezing temperatures. I wanted to hear the drag on my reel screaming out, and watch the rod bend over with something huge! Well I found out how to accomplish this. Like many other friends of mine, I was always on the lookout for something new. I remember having days on certain lakes when productive spots went cold, for lack of a better way of putting it. This led to moving around in search of better areas, or biting fish. It wasn’t long before I started seeing guys on bass boats having success. I would sit back and watch, and while I couldn’t see the exact lures they were using, I could tell whatever they were doing was working. I recall numerous crappie outings on Harris Lake in NC, where I observed anglers using vertical presentations and catching big bass. These usually seemed to be elder gentlemen, and the style of fishing seemed boring to me. Even though I was basically doing the same thing by dropping minnows on small weights over likely structure I’d found on my sonar unit. In time different people I knew, including my brother, started to experiment with vertical jigging. And it was working. In winter fish are sluggish. They get cold too! And oftentimes in winter months lakes and rivers become filled to capacity, and get muddy. The muddier the water, the less sunlight can shine through to warm the water. This causes many bass and striper anglers to resort to throwing jerkbaits in shallow water late in the day. The theory behind this technique revolves around the idea that by two or three o’clock in the afternoon the sun has warmed shallow water, and fish should be feeding there. Now this works to some degree, but the fact is most fish relate to deep water in the wintertime, and waiting until the last few hours of a given day to catch fish is not practical for most anglers. Fish just do not chase reaction baits in cold water. You can throw crankbaits, spinner baits or buzzbaits all you want – good luck. And while Texas-rigs and Carolina rigs baited with different plastic trailers can be used with some success – nothing works like jigging spoons or grubs. I mean nothing. Now a good sonar unit is a must for this type of fishing. You will need to be able to locate structure with fish present on your graph, and also be able to hold over it. An anchor can work, but its best to go on calm days with little or no wind, so you don’t have to risk spooking the fish you wish to catch by dropping a ten to twenty pound anchor beside their house. I have found fish willing to bite in water as shallow as ten feet on out to depths of forty feet. There is an art to vertical jigging, which can be a tedious task. But the first time you hook into a ten pound plus fish and hoist it from water you think should be frozen – you’ll be hooked too. Start by marking the likely spot with your gps or simply drop a marker buoy. This will give you a reference point to drop your bait. 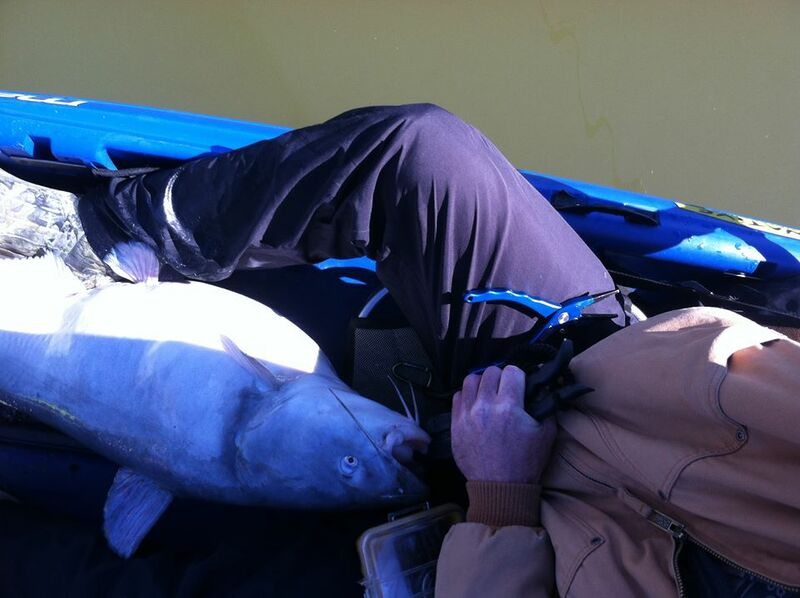 Then face into any wind and use your paddle or trolling motor to stay in position. Drop your spoon or jig to the bottom of the lake and reel up a few cranks. You want to be able to keep contact with the bottom, while being able to feel the bait the entire time you are fishing. I cannot overstate the importance of this. Start by feeling the bait on the bottom with a tight line and lift approximately two feet in a quick jerk. As the lure rises keep the line as tight and straight as possible. When you reach the top of your motion, slowly lower the lure back to the bottom, careful to keep tension throughout the motion. This will allow you to feel the slightest bites. However, most bites will come just after you hit the bottom, and you begin to lift the bait again. You will feel like you are getting hung – but it’s a fish! Set the hook whenever you feel anything out of the ordinary. Remember, fish are sluggish in winter and they may take some coaxing to get them going, and you will hang up in trees sometimes, but that’s all part of it. Spoons and jigs are cheap. I will say I have never seen any other style of fishing produce fish in winter like vertical jigging. It often turns totally negative fish into a frenzy, and I almost never use live bait in the colder months anymore. I prefer silver and gold spoons, and tend to have one of each tied on when I go out. There are also rattling varieties that are deadly. The fish will tell you what they want on any given day – just experiment. There are many brands and options to choose from and the body of water and the clarity on any given day will have a lot to do with your success. The good news is fish barely move in wintertime, so once you find them on your sonar, it’s just a matter of seeing what they want that day. I suggest going to your local tackle shop and asking the experts in the store what they suggest in this regard. However – another tip I will give that I have learned over my years fishing. Look on the racks of baits and choose from the options where only a few remain. If there is a color or brand that seems to be plentiful in stock, that might not be a good thing, but if there are only a few left of a certain type, well I think you can figure the rest out. Those lures will often work very well in the waters of nearby lakes. This is a tactic I will often resort to if I think I’m not getting the best advice. It works especially well in bait shops close to the lakes you fish, where business owners and locals will often be tight-lipped. So put on your thermal underwear and layer up. Look for days with little to no wind and get out on your local lakes. Find deep water and locate structure with arches around it and drop in on them! It will take some practice, but I assure you with time and patience you will master this technique and soon you’ll never think of wintertime fishing as boring or unproductive again. Good luck.